It’s been a hot second since we talked blog and business, but as I get ready to make some (hopefully) major shifts in how I run HTC in the future, I decided it might be a good idea to sit down and have a little chitchat about blog investments: namely, the ones you should make! Now, don’t get me wrong. You don’t have to spend a lot of money to run a blog and you can run a successful blog without these investments. I started Hey There, Chelsie during my mid-life crisis (which happened in my early 20’s, so I’m glad I got that over with) when I realized I didn’t want to pursue a career in my degree field. I hit rock bottom in terms of my self-confidence and felt like an absolute failure in every aspect of my life. 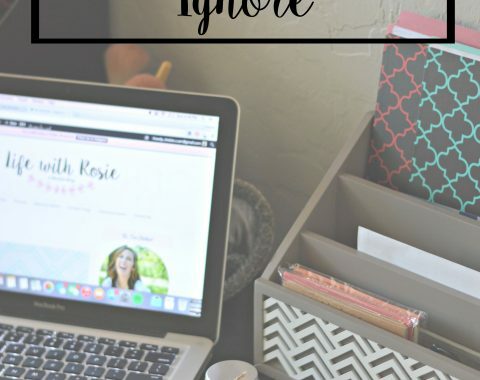 I decided I needed a creative outlet to give me SOMETHING positive to work on and my first blog (Life with Rosie) was born. I never started it to make money and I was grateful if I had 3 people besides my mom and sisters read it. However, as time went on and my blog slowly evolved into what it is today, I found that I had a message that I felt was important to share with others. I wanted to grow my blog and make sure that it reached those people and I knew that I needed to make some money off of it in order to keep it running and growing at the rate it was. I also was spending a LOT of time doing tedious tasks or tasks that left me frustrated because I couldn’t “figure it out” or “crack the code.” So, I knew it was time to start making some investments into myself and my blog to help free up my time and allow me to produce the content I was dreaming of. I will admit, I’ve spent a LOT of money on courses and services that were a complete waste of cash. It seriously makes me sick when I think about the money I would aimlessly spend before doing my research and looking at competitive services. I was constantly looking for an “easy” button to push that would make a lot of my issues go away or instantly make me more money or give me more followers. SPOILER ALERT – nothing like that exists. I’ve learned that I have to DO the work and stay on the path without trying to take any shady shortcuts. I also learned to do my research on ANY service or course before clicking the “purchase” button because sales pages are very persuasive. That being said, I do have three blogging investments that I’ve made in the last year that have been absolute game changers for me and my blog. They have helped me create better content, understand who I am as a business owner, and continue to stay profitable without sacrificing my authenticity or integrity. This year, I decided that it was time to give my Instagram husband a break and sign a contract with a professional photographer to help me stay on top of my content creation and help me produce consistent looking feed for my brand. Plus, as amazing as Dustin has gotten behind the camera, it is a bit more challenging for him to figure out how to execute those more editorial shots that I want to create. So, I decided to bite the bullet and sign a content creation contract with my photographer, Sadie Banks. I shot with her several times throughout 2017 and loved her work. When she decided to start offering contracts for bloggers to help with content creation, I knew she was the photographer for me. Sadie offers me a certain amount of shooting time a month and delivers all the images edited to me within a week of shooting them. Keeps me accountable. I schedule my shoots with Sadie at the beginning of every month, so I HAVE to have things to shoot when it’s time to get together. There’s no “shooting on a whim” – in order to get the most out of my hours with Sadie, I have to be prepared and have my content calendar planned in advance. My Instagram feed, blog photos, and all other images are consistent. They are edited in the same style and with the same presets that Sadie and I have specifically curated for my brand. Sadie also helped me develop some mobile presets specifically for my brand so that I can post iPhone photos and still have them fit in my feed consistently among the professionally taken photos. It’s given me the opportunity to work with more brands because the quality of my content has gone up. I can now promise higher-quality photos, images, and content to brands that is consistent! Your photographer becomes your confidant and close friend and someone who GETS what it’s like to run your own business. Sadie’s friendship has been the icing on the cake and our shoots always turn into chats about Instagram and Pinterest and also doggos and impromptu Costa Vida dates. Best photographer ever. Even though I still take some photos myself (or have my Instagram husband do it) it’s drastically reduced my stress in regards to photographing content. I’ve been able to stay on top of content creation and have been able to produce some super fun and creative shots, thanks to the help of a professional photographer. Plus, removing editing time from my life has saved me a TON of time in the whole process of content creation. 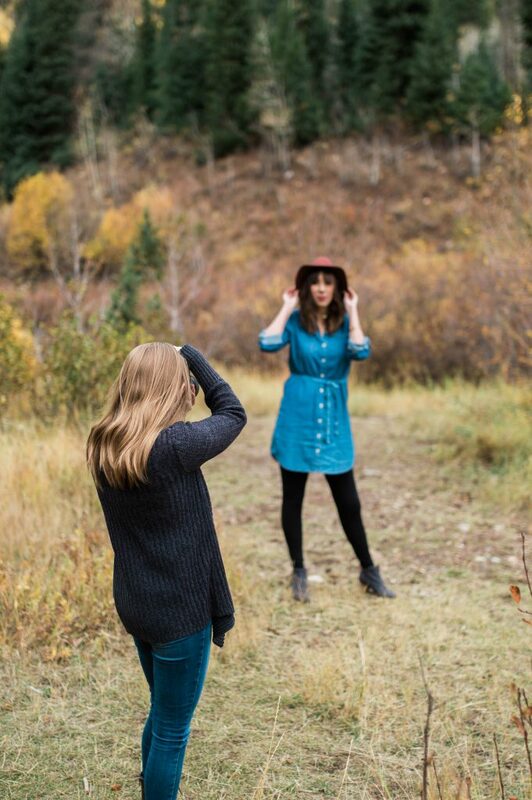 Sadie is based in Utah (so sorry, you can’t have her if you don’t live here) but I’d highly suggest reaching out to local photographers and seeing if you can work out an agreement to shoot together consistently. 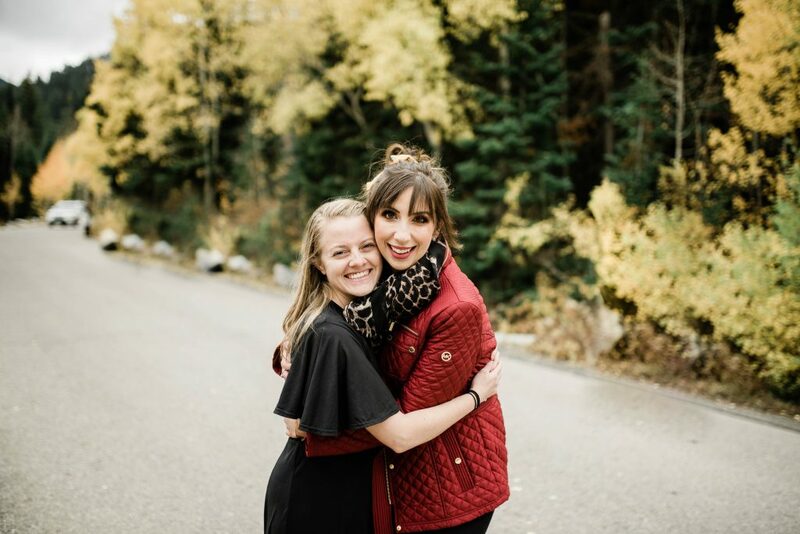 And if you DO live in Utah, I know she has added a few slots for her 2019 content creation contracts, so definitely reach out and chat with her to see if it’d be a good fit! If you are unfamiliar with Alison Falkner of The Alison Show, literally DROP EVERYTHING and go check out her site or listen to an episode of her Podcast, Awesome with Alison (and Eric, too!) Alison is the most outrageous, loud, and fantastic person to ever grace this Earth and while on the surface she may look like a dancing fool, she actually TRULY knows her stuff when it comes to building a successful brand. Alison has a brand school workshop called Build an Awesome Brand that she hosts here in Utah. It’s literally life-changing. It’s an all-day event (literally, the class itself is 8 hours long) and it’s packed with real information. Alison helps you wade through all the confusion of what a brand “might be” and gives you the change to figure out what your brand “should” be. Not only did I gain a lot of clarity on what I wanted to do with Hey There, Chelsie, I had a really profound realization on WHY I started HTC in the first place. I discovered my most empowering ‘WHY!” After I found that, Alison taught us how to take that WHY and use it as roots to grow a brand tree. She taught me how to create content that will always connect to my brand, how to share my message without being repetitive or boring, and how to diversify my content among different platforms. LONG POST, but worth it. At the beginning of the year, I was second-guessing everything I was doing. That turned into second-guessing myself, as a person and as a human. Who was I, to talk about makeup and “teach” it to others? Who was I, to talk about living a vibrant life, when I still struggled to live vibrantly on a daily basis? Who was I, to try to create a business out of a little blog? Who was I, compared to all of these other influencers and bloggers on the web? What right did I have, to do what I was doing?⠀ ⠀ So, in a last ditch effort to find some answers to my questions, I signed up for @alisonsbrandschool workshop. I just wanted some clarity. I wanted to know that I wasn’t wasting my time or energy. I wanted to know that there was a reason to keep pushing through the algorithms and backend glitches and comparison game. ⠀ ⠀ I remember sitting in our first breakout session and listening to everyone introduce themselves and share their business and feeling completely inadequate. I didn’t have a concrete Business or a service I offered. I just had a blog and it seemed pretty insignificant and small compared to everyone else around me. ⠀ ⠀ As the day went on, Alison spoke to my soul and I felt the doubts and insecurities begin to lift. This workshop completely changed my life. I had so, so many profound “aha!” Moments that truly shook my to my core. 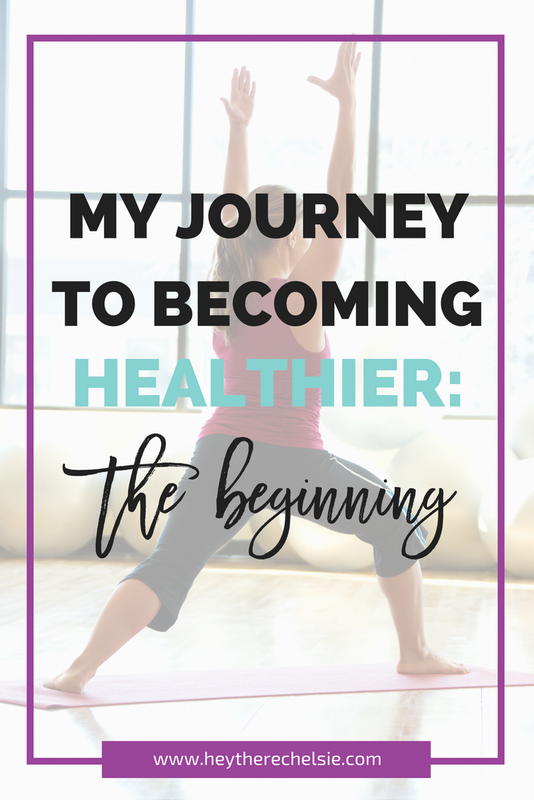 Realizations that allowed me to shake off the “buts” and the “cants” and gave me the clarity I was looking for. ⠀ ⠀ Alison gave me the permission I’d been looking to do what I felt called to do. She taught me that my story matters and that as long as I feel fulfilled, I have the ability to fulfill others. ⠀ ⠀ Although I have had small moments of doubt and overwhelm since attending the workshop, I have felt 100% confident in what I’m doing and where I want to go with HTC in the future. And I’m on my way to building an Awesome Brand. ⠀ ⠀ Alison just announced that she’ll be holding one more workshop in November here in UT. If you are a blogger or a content creator or a small business owner looking for some clarity, I can not recommend her workshop enough. Let me know what questions you have below! Seriously, everything fell into place after taking her workshop. I gained so much clarity on what I wanted HTC to be (and what I didn’t want it to be) and I had a plan on how to share that with those who spend their time with me in this space. I haven’t had as much time as I’ve wanted to unroll everything I’ve been dreaming up, but I know it’s there and I have the confidence to build it. There are days when I doubt myself and wonder “why bother?” when I see others being more successful or fudging the system to get ahead, but then I remember my experience at the Brand Workshop and know that I have to build what I feel called to build. Even if I help one person feel less alone and more inspired to live a vibrant life, then I’m doing something worthwhile. 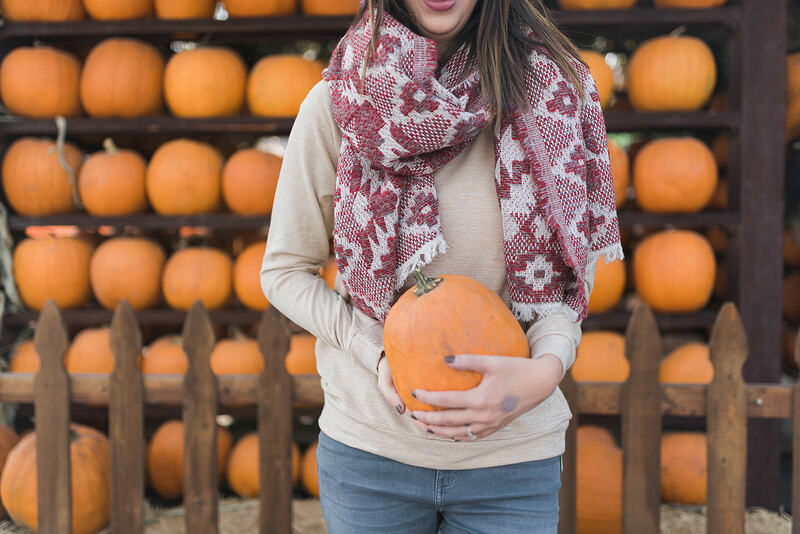 Alison is hosting another workshop in November here in Utah. Even if you don’t live here, I highly recommend flying out for it. We had a TON of students in my session of the workshop who flew out and they said it was well worth it! You can learn more information about her class here! I’m really and truly proud to say that Hey There, Chelsie is profitable and has been for 3 years now. I never started with the intention to make money off of it (and wouldn’t be heartbroken if I never made another dollar off of it, because that’s not why I started it) but, I will be honest: it’s really nice to be able to make money to keep HTC running. I really wanted to take control over what brands I partnered with to make sure that I was working with companies that honestly and authentically fit me and my brand. I didn’t want to be limited to the options that a network had for me and feel pressured to take a campaign because it was the only option to make money. Enter BossPitch – a course created by one of the most hard-working and badass women out there, Erica from Coming Up Roses. BossPitch is an entire course based on pitching your project ideas to brands and getting them to say YES! Not only does Erica walk you through planning a pitch, how to find contacts to pitch, and gives you email templates to follow up ON your pitches, she also includes VITAL information on how to negotiate rates, get through sticky situations, and structure contracts. Oh, and her FB group for her students is social media gold. She does pitch critiques, live Q&A’s and gives away free hot seat classes with her students. Literally, everything you could possibly need as a blogger/content creator/influencer to take your sponsored content in your hands and gain complete control over it. Since taking BossPitch back in 2016, I’ve learned how to successfully hold my own in negotiations for contracts, how to ask for what I’m worth, and how to effectively craft pitches and follow up on those pitches to get a response. I’ve secured two YEAR-LONG collaborations with dream brands that I’ve loved since before I started blogging and have had several other projects that have paid me what I’m actually worth. I’ve felt confident to say no to projects that didn’t meet my rates or didn’t feel like an authentic fit. The best part about taking BossPitch is that I KNOW for a fact that Erica practices what she preaches. That girl creates new content on her blog every week and is constantly unveiling new partnerships with amazing brands that she pitched herself. She’s not one of those people who pieced a course together from free articles she read on Pinterest or mysteriously has no sponsored blog posts on her website. She is in the same blog boat as I am and teaches her tips and tricks as we set sail together for financial freedom. Any questions about these investments? Let me know in the comments below! 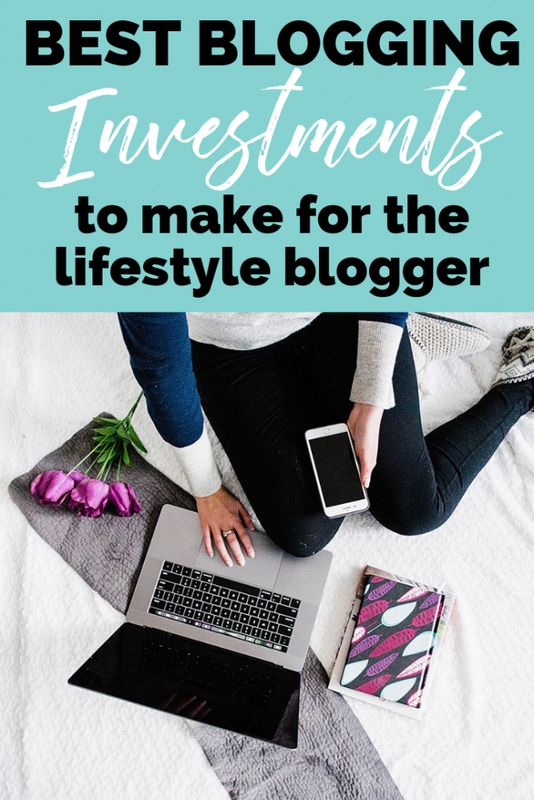 Or, if you have an amazing investment that you’ve made in your blog, let me know! I’m always looking for new ways to learn and grow!